January 28, 2017 By JRL, Esq. With the new year comes much talk of resolutions to be made and broken. A month in and you have probably broken one or two by now. One resolution that you should have considered is reviewing your estate plan. Does it still distribute your estate the way you want? Are the individuals you’ve named as the executors or successor trustees still the people you want to handle those responsibilities? What about the guardians that you’ve named for young children? Have there been any major changes during the past year that would cause you to revisit any of you planning? Also, for those with larger estates it will be interesting to keep an eye on the fate of the federal estate tax. Will it be repealed? And if it is, what will take its place? I’ve covered this particular topic in a prior post. 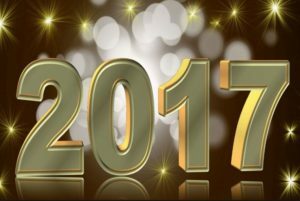 Regardless of your situation, it is a good idea to review your plan periodically and the new year is a good time to do so. First, review your dispositive scheme. Not only who will ultimately receive your estate assets. But what happens upon the death of the first spouse to die if you are married. I’ve seen many trusts that that were created prior to the significant increase in the federal estate tax exemption, which is now $5,490,000 for 2017. These trusts often contain provisions that divide the trust into a credit shelter trust and survivor’s trust, commonly referred to as an A-B trust. at one time, but not necessarily now. Depending on your family situation, there may no longer be a need to split the trust on the first death, at least from a tax perspective. An A-B trust may still be desirable for blended family situations. It’s important to note that many trust provisions that create the A-B split are based upon tax formulas. This is normal. But subtle differences in language can cause unintended consequences. For example, if the credit shelter trust is to be funded with the maximum amount that can pass free of estate tax, this trust may end up receiving more assets than was intended, up to the entire estate. The original intent may have been that the credit shelter trust receive $1 million or so, depending upon when the trust was created. This unintended overfunding of the credit shelter trust may not be a problem if the surviving spouse is the primary beneficiary of both this trust and the marital trust. But if the credit shelter trust has other beneficiary, children from a prior marriage for example, this overfunding could present a major problem. So the bottom line is to check your estate plan, not only in light of recent changes to tax and other laws, but possible future changes. Also, while reviewing your trust, will, and related documents, it would be a good idea to take inventory of your assets. Make sure any asset lists are up to date to make administration easier for successor trustees. And ensure that your assets are properly titled so that an unexpected probate is not required upon death.